I think I may have written the script for San Andreas. Can't remember doing so, but somehow all the lines and plot developments came to me before they even happened! Spooky. Standard disaster movie with admittedly impressive visual effects. The cast is a good line up but they really don't do much aside from reacting to what's falling apart around them or just waiting for Dwayne Johnson to rescue them. Typical disaster movie with better characters overall including, gasp, a pair of strong, female leads! Dwayne Johnson is pretty much in his element as the hero who saves the day, but it's really Alexandra Daddario who shines as the daughter who needs rescue... even as she uses her knowledge to pretty much save herself. Do you like widespread destruction? Do you like jerks getting their comeuppance? Do you like scientifically impossible tsunamis? Well have some popcorn, sit back, and enjoy! The whole story didn't shake me up. "The Earth will literally crack and you will feel it on the East Coast." San Andreas is today's vision of The Day After Tomorrow, Deep Impact and 2012 but a lot more fun. 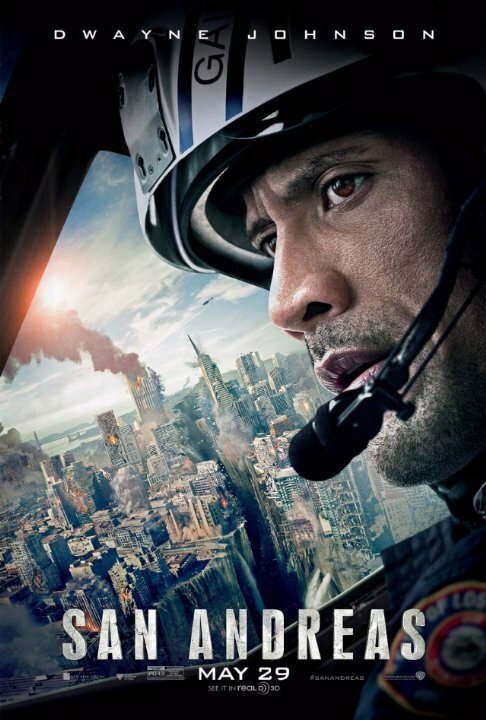 The story San Andreas is about a massive earthquake rocks California, a rescue chopper pilot will stop at nothing to find and save his estranged daughter. So I just San Andreas and I had a lot of fun watching it, it's not a amazing movie if I'm looking at it closely and yes the movie dose have it's flaws, but really what was I expecting from this movie? well I was expecting Dwayne Johnson character saying really cheesy one liners that are bad but funny. Big CGI environment, dramatic music from every disaster movie out in the 90's and everyone being dead serious. And I got some of that but not that the cheesy one liners which I'm glad it's not in the movie. No posts have been made on this movie yet. Be the first to start talking about San Andreas!